Copper climbed to its highest level in about six weeks on Wednesday, amid supply concerns on an operation halt at Grasberg mine, the world's second largest copper mine in Indonesia, where 28 workers died last week when a tunnel collapsed. Three-month copper on the London Metal Exchange, untraded in official rings, was bid at $7,505 per tonne, after reaching $7,525, its highest level since April 12. Yesterday the red metal closed at $7,375. 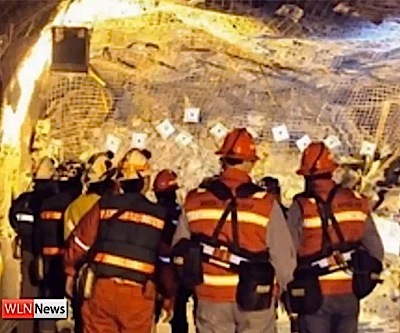 US-based Freeport McMoRan Copper and Gold Inc (NYSE:FCX) said it would not restart production at its mine at least until after an investigation into the accident is completed. The mine has been halted since May 14 at a cost estimated at about $15 million a day in lost production. The Indonesian government has ordered an independent investigation into the accident as well as a review of all underground mining facilities in the country, reports The New York Times. Analyst believe the accident, one of the country's worst mining disasters, could further strain relations between Freeport — the largest taxpayer to the Indonesian government— and nationalist politicians who have called on it to pay higher royalties. The company has also had a series of labour disputes in recent years, including a three-month strike in late 2011 and smaller problems since. Grasberg’s suspension comes after a landslide last month at Rio Tinto Group’s Bingham Canyon copper mine in Utah forced operations to halt.